Sometime around 1996 I attended a conference on communication studies. I was working on a master’s degree in Comm Studies and this was my first conference in an area outside of librarianship. I was happy to discover a presentation on research related to libraries, specifically nonverbal behaviors of reference librarians. As the researcher described her findings and quoted from student statements about their interactions with librarians, I experienced a range emotions. Interest and pride soon gave way to embarrassment and frustration. The way I remember it now, there were a host of examples of poor interactions. “The librarian looked at me like I was from Mars,” that sort of thing. Most memorable to me was one of the comment/questions from an audience member. “Librarians need to fix this. What are they going to do about it?,” as though this study had uncovered a heretofore invisible problem that we should urgently address. (Did I mention feeling defensive, too?) I didn’t dispute the findings. What I struggled with was the sense that the people in the room thought that we librarians didn’t already know about the importance of effective communication and that we weren’t working on it. Was there room for improvement? For sure! But it wasn’t news to us. I thought about that presentation again recently after viewing a webinar by Lisa Hinchliffe about her research project, Predictable Misunderstandings in Information Literacy: Anticipating Student Misconceptions To Improve Instruction. Using data from a survey of librarians who provide information literacy instruction to first year students, Lisa and her team provisionally identified nine misconceptions that lead to errors in information literacy practice. For example, first year students “believe research is a linear (uni-directional) process (and therefore do not see it as an iterative process and integrated into their work).” The project is a partnership with Credo. See the press release or view the webinar slides. The reason the webinar took me back to the communication studies conference was that I found myself starting down that path. Listening to the misconceptions, I thought, hey, we should do something about that. For a moment I was that audience member, racing from becoming aware to expecting solutions. But only for a moment. Then it hit me – we ARE working on it. I’ve been a reference and instruction librarian for more than 20 years. I’ve attended, participated in, watched, and read many many times how we can be better. Better at reference work, be better colleagues, administrators, mentors, leaders, collaborators with faculty, members of our communities. We can be more effective teachers. All these things are true and if you commit to lifelong learning, constant striving to improve is the only way. Luckily our profession is heavily invested in doing better. We seek to understand, to experiment, and to share. The Predictable Misunderstandings in Information Literacy project is one of the latest in a long line of examples of trying to understand. Project Information Literacy is another, undertaking multiple investigations into how college students seek and use information in many aspects of their lives. Examples of how PIL studies are applied in libraries are readily available . Then there are the blog posts, web sites, journal articles, workshops, webinars, conferences, and other events aimed at sharing research and improving the educational experience for college students and instructors alike. 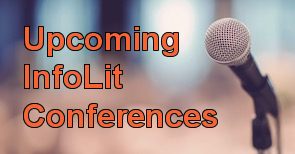 Many of the regional, national, and international information literacy conferences are listed on this blog. How does an instruction librarian balance the need to learn and improve with meeting the daily demands of the job? Every person has their own answer. For me, it has been a combination of getting the work done while staying open to opportunities. My library colleagues have always been the best partners in this endeavor while administrators have been supportive. I know I have not transformed my teaching for the better in all possible ways. But I keep trying. Previous article:From Framework to Outcomes to Performance Indicators, Plus Dispositions!